...........1997-2011 - You shall be missed. Here are my two favourite White Stripes songs ever. Hotel Yorba is one of my all time favourite songs by anyone, it is one of those songs that you remember where you were the first time you heard it. And the Hardest Button to Button song pops into my head every time I try to help get the kids dressed with those tricky buttons. My daughter has this one shirt that is impossible to get this one button to button. I believe Jack and Meg wrote this song just for that stupid shirt. So in their honour I believe it is time to retire that shirt as well. 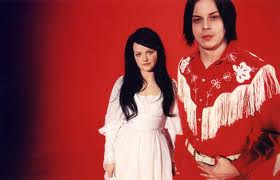 20 years from now people will be still rocking The White Stripes and it will still sound just as amazing as it does now.